Mark Shenton’s week: What makes for a strong critical reaction? I remember on one of the many occasions I saw Billy Elliot in the West End finding myself weeping copiously through most of the second act. And afterwards I wondered what it was in the show that had affected me so deeply. Or was it just the heavy-duty painkillers I was on at the time? Of course she may just have had a viscerally strong reaction against the show: it happens to the best of us, and to the best of shows. I’ll never forget once tweeting about a play at the Almeida how it had made me want to gouge my eyes out in frustration, to which its leading actress replied urging me not to do it as I had beautiful eyes. I’ve never had such a completely disarming response before or since. And maybe, just maybe, this said more about my own state of mind that night than it did about the show. None of us is a blank canvas; we bring our prejudices and carry the events happening in our lives into the theatre with us. Are critics having to be more provocative to get a reaction? Another show that’s designed to provoke a visceral response is A Pacifist’s Guide to the War on Cancer. 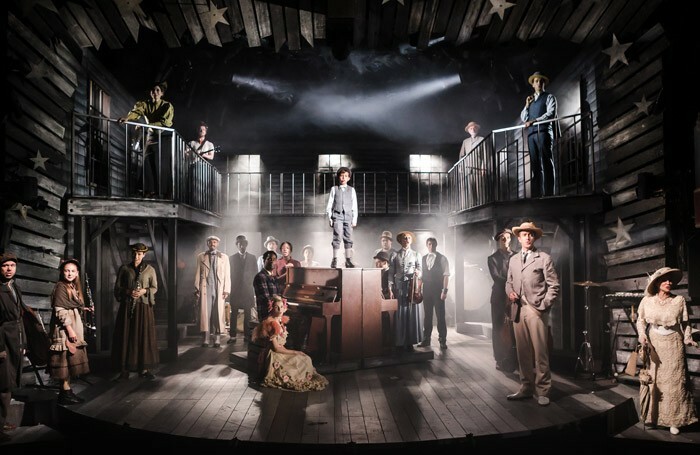 It is a kind of rallying call, as I said in my review for The Stage, to own our feelings with honesty. Well, she has owned her feelings with honesty, at least. But the negativity (and one-star rating) suggests that this is a review that is itself attention-seeking. Maybe it’s the only way for a critic to be noticed these days, by adopting extreme and deeply personal positions. There’s no halfway point to this school of theatre criticism: shows are either boom (four or five stars) or bust (one or two stars). I love to get out of London (and regularly do), but getting out of town is never as easy as it seems. Further to my recent misadventures, this past week it was the Tube that let me down: I was heading to Paddington on the Bakerloo line, but what were reported as ‘minor delays’ actually involved a 10-minute wait on the platform at Elephant and Castle, and then 25 minutes to travel four stops. I ended up missing my 10.06 to Plymouth, which meant I would miss the matinee I was heading to see of The Wind in the Willows. So I returned home, regrouped and rebooked to go in the afternoon instead. That meant seeing the evening show – and staying the night instead. But that’s the life of a theatre critic – you have to stay light on your feet and be prepared to change your diary at the drop of a hat. Or the failure of a Tube line.